To effectively respond to critical incidents (suicide, violence, etc. ), schools, communities, and organizations need to plan ahead of time so they are prepared to respond to these unfortunate events. 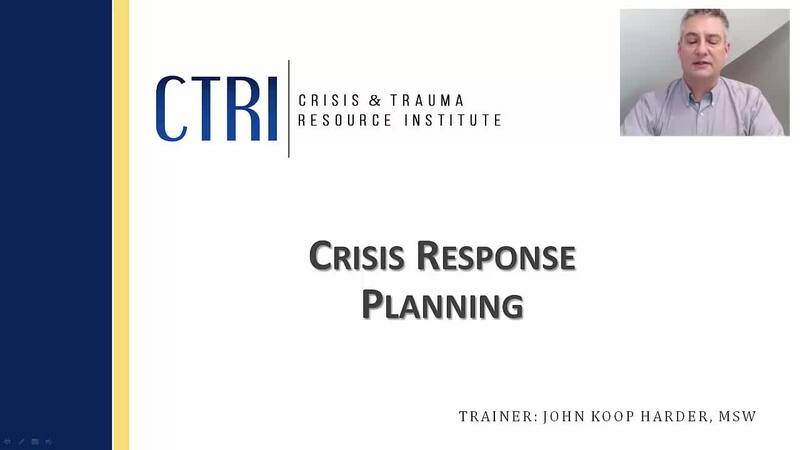 This webinar will focus on how to organize effectively and quickly at a time of high stress so that groups are better prepared to respond to the emotional needs of those affected by a critical incident.